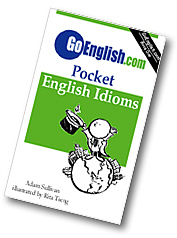 Today's Idiom = "Fill Someone In On Someone Or Something"
"Fill Someone In On Someone Or Something"
Filling you in is telling you what happened when you were not there. Example: "Who can fill me in on what happened last night?" Example: "I'll fill you in on it later."